The viola part for Mendelssohn's Scherzo from A Midsummer Night's Dream, Op. 61 has been edited by Israeli-born Yizhak Schotten, an internationally acclaimed musician whom STRAD Magazine has called "one of America's finest viola players... a leading light of the U.S. viola establishment." Schotten's bowings, fingerings and other editorial markings have been added throughout the score. 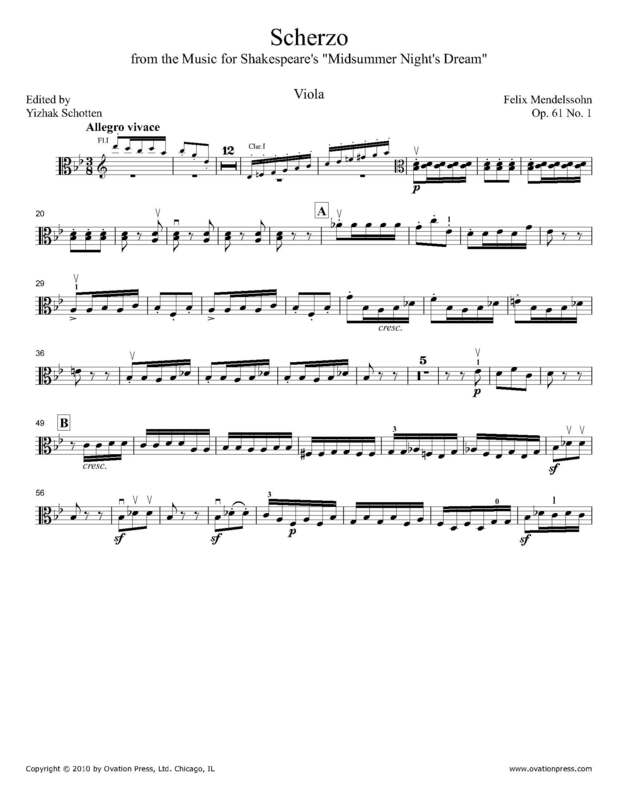 Download and print the score today to gain access to expertly edited Mendelssohn A Midsummer Night's Dream Scherzo viola fingerings and bowings from Yizhak Schotten!